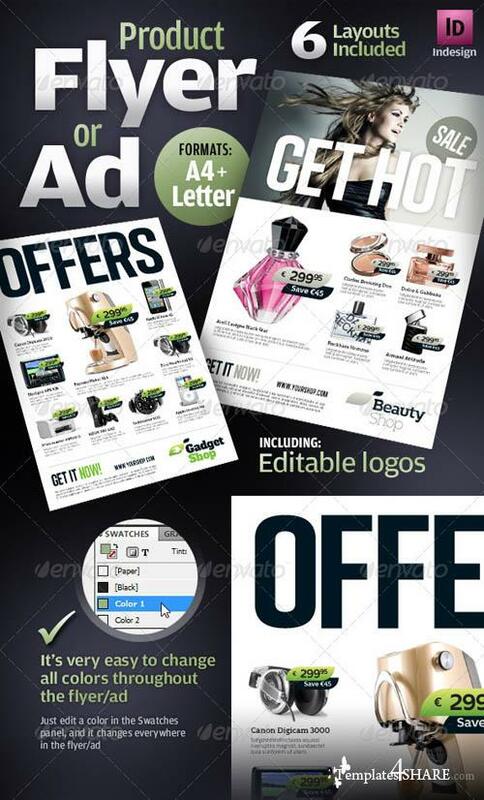 Professional, clean and modern product flyers or magazine ads. Just drop in your own pictures and texts, and it's ready for print. Or use it as a professional online PDF or email attachment.